I meet the two Argentine winemakers aged under 40, whose wares were selected by their peers to rank first and second in November in a blind tasting. First up is Mauricio Vegetti. “Second best isn’t good enough,” says Mauricio Vegetti. He’s being hard on himself, of course. It ain’t a bad place to be, given that he entered Argentina’s Winemaker Sub 40 contest for the first time with his Gauchezco Oro Apelación Gualtallary Malbec 2013 – and polled second. Mauricio, also known as El Japo, runs the small team behind Gauchezco Vineyard and Winery as well as his own project Lui. 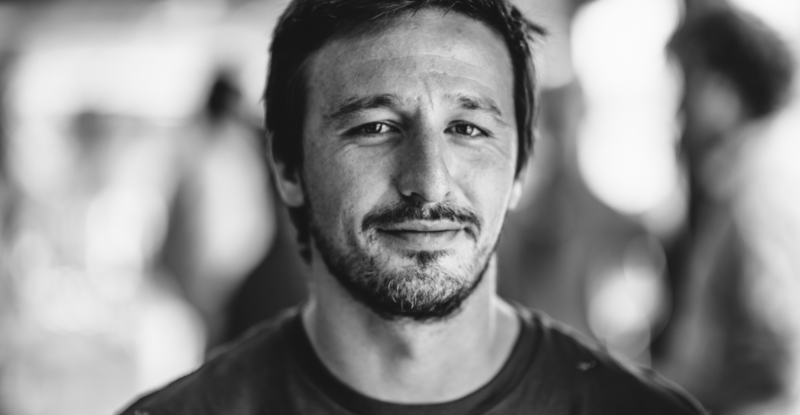 And, given that he’s racked up various harvests and studied in France, it’s of little surprise that his under-40 wine-making peers – including Sebastián Zuccardi (Familia Zuccardi), Juan Pablo Michelini (Zorzal) and Santiago Mayorga Boaknin (Nieto Senetiner) – noted that expertise, catapulting him to second place in the Winifera competition organised by sommelier Maria Laura Ortiz. Barrancas, or the ravines, in Maipú. Mendoza born and bred, and papá to three little girls, Mauricio is ultra low profile. 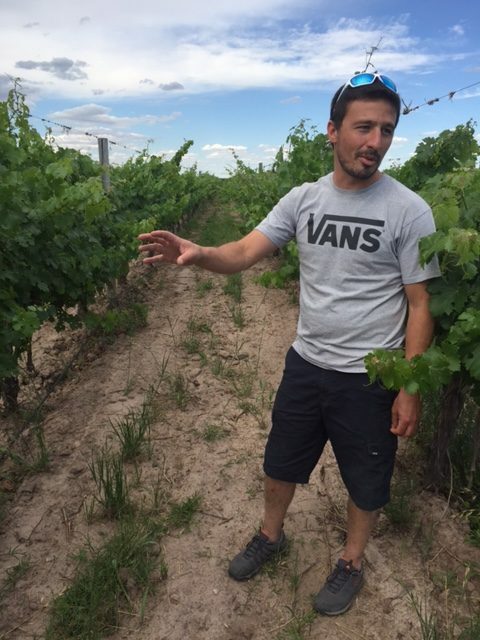 “I’m so happy when I’m here at the farm,” he says, pointing at the 100 hectares of vineyards around us in Barrancas, Maipú, “that I often forget what time it is.” And it’s an ideal fit, even though many wine lovers in Argentina have barely even heard of Gauchezco, which mainly exports to the US, UK and Canada. After this award, however, that profile is likely to change for both Mauricio and his employer. The winemaker is showing me around Gauchezco’s 265-hectare farm that was planted in 1881, which the bodega purchased – and he’s been managing – since 2008. It’s home to a fascinating array of varietals from Malbec to Cabernet Franc and Petit Verdot that sport different ages and canopy management styles and are planted in clay, sandy and rocky soils. The oldest vine clocks up around 120 years in age, a robust vine arbour-trellised Chenin Blanc next to the vast adobe-constructed warehouse. 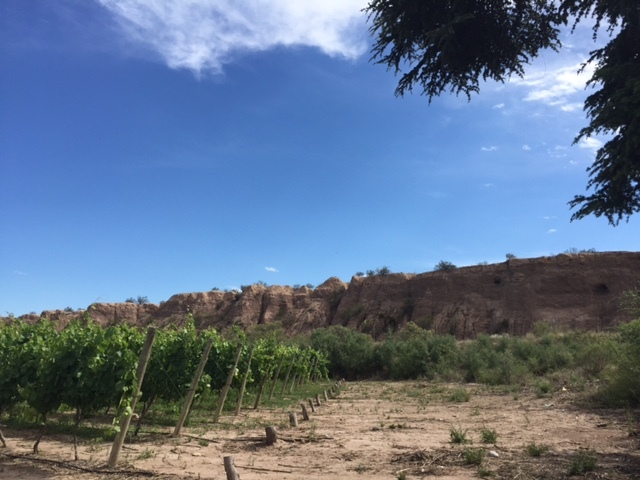 As we drive around the finca, Mauricio points out the ravines, the barrancas after which the district is named, and recounts that this area used to form part of the River Mendoza. Cork trees as well as new vines, ancient vines, sick vines and baby vines make up the lay of the land, as do 20 hectares of almond trees and one-storey houses where several generations of families have lived, tending the farm for more than 135 years.